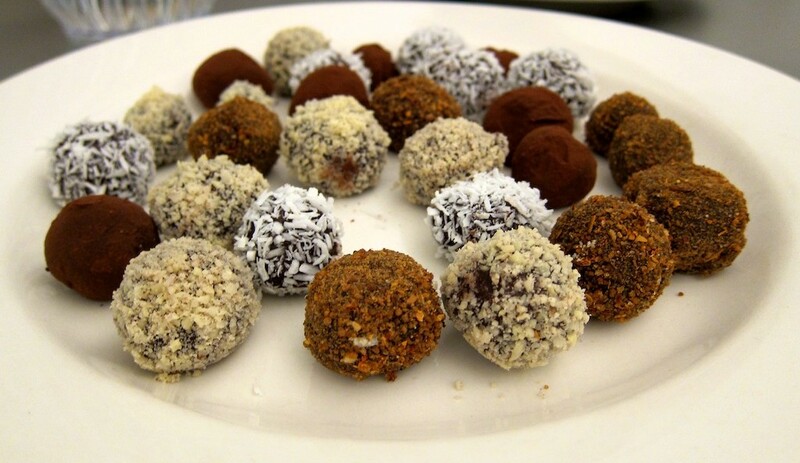 This entry was posted on November 9, 2012 and tagged Allergies, Celiac disease, Cooking class, Dairy-free, Diabetes, Food allergies, Gluten-free, Holidays, Nutrition, Whole foods. Bookmark the permalink. If you’re living with bothersome food sensitivities, wheat or dairy allergies, Celiac disease or diabetes, the quickly approaching holiday season may have you feeling anything but merry. There’s no time like the holidays to make you feel left out and unsatisfied if you need to follow a restricted diet… But we’re here to help, friends! 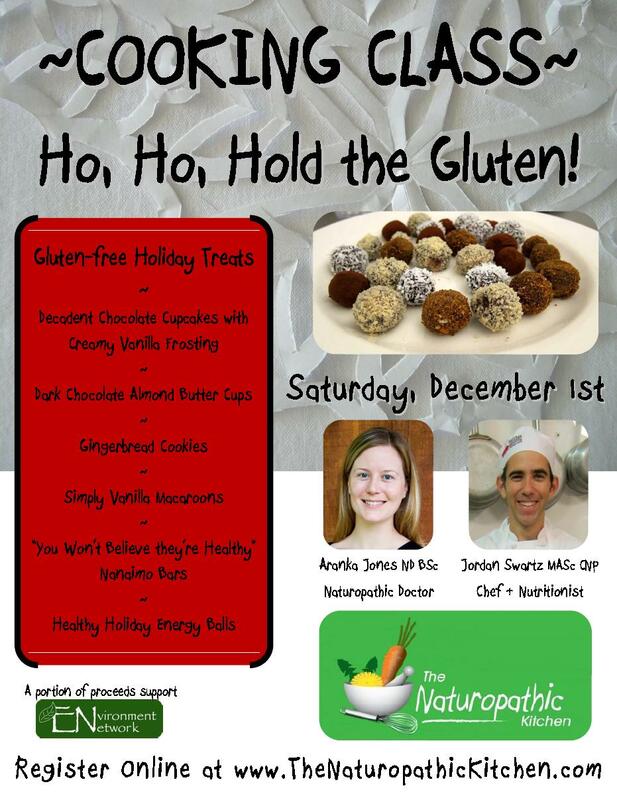 Join us at The Naturopathic Kitchen for our last cooking class of the year and we’ll show you how to make delicious holiday treats without gluten, dairy or refined sugars. Our recipes will have you feeling jolly and decking the halls in no time. Download and share our event poster here. Visit us on Facebook for a sneak peek at our Holiday Recipes! « Why see a Naturopathic Doctor?